Kendall Simmons believes your home should reflect who you are and where you’ve been. 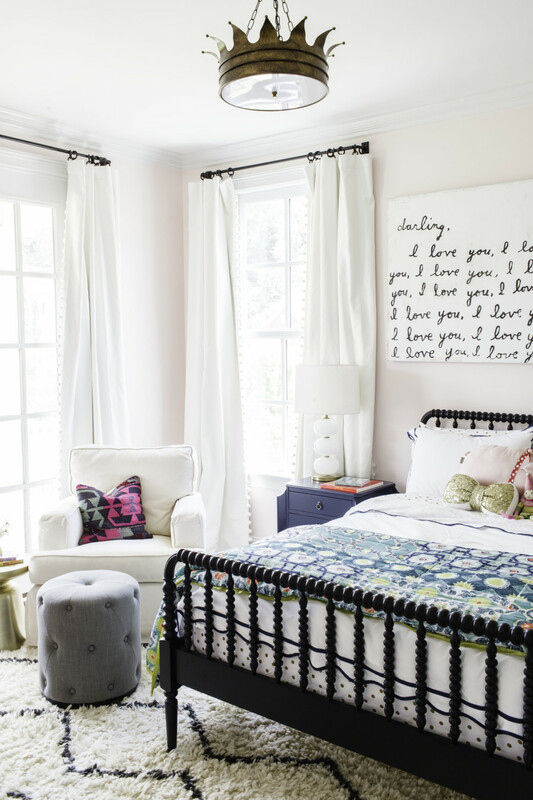 She brings a bit of paradise to each of her clients’ homes in a unique and personalized way. We sat down with Kendall to learn about what inspires her playful, imaginative, and feel-good designs and aesthetics. Kendall Simmons: I’ve always been a creative. I grew up in a home with an unbelievable mother and a constant series of craft and art projects. Out of high school I went to the University of Georgia and got an interior design degree. I was fortunate enough to move to New York City for my first job as a design assistant. I worked there for five years, laying the foundation. It’s not an interesting story with a big epiphany or trial-and-error with other careers but I’ve loved it from the beginning. Now that I’ve been working in the trade for 11 years, we’re back in Nashville. KS: Colorful, super whimsical. 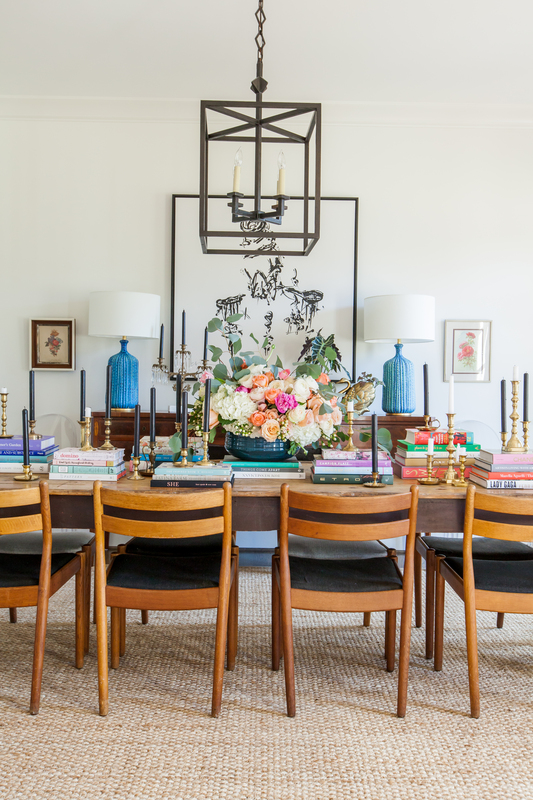 I love an unexpected, eclectic mix of pattern – things that no one else would put together. I like things to feel collected over time, so rather than walking into a home and feeling like everything is brand new, I want it to feel as if things have a story. They’ve come into your home over time so that you have layers that speak to who you really are. C: Where do you get ideas and inspiration? KS: My very favorite way to get inspiration is travel. Any chance my husband and I can be on the road, we’ll be gone. I love being in a new city and visiting whatever amazing art museums are there, seeing the street art and unexpected combinations of color. I take more photos traveling than any person ever – I’m that person. I absorb and then months later, I find myself going back and referencing them for my designs. I also read voraciously, which I think is an abstract way to gain inspiration, but I find that it calms me and gets my brain to a place that’s more conducive to coming up with new ideas. I try to read two books a month on average. There’s a constant rotation of my favorites, but I love “Midnight in the Garden of Good and Evil,” based in Savannah, which is an amazing book that everyone should read. Other amazing designers also inspire me. Sometimes I see a room that pops up on my Instagram feed and even if it’s not something I would have done, there are so many takeaways. I can always learn something new. KS: When it comes to my work, I love dining rooms and powder rooms. 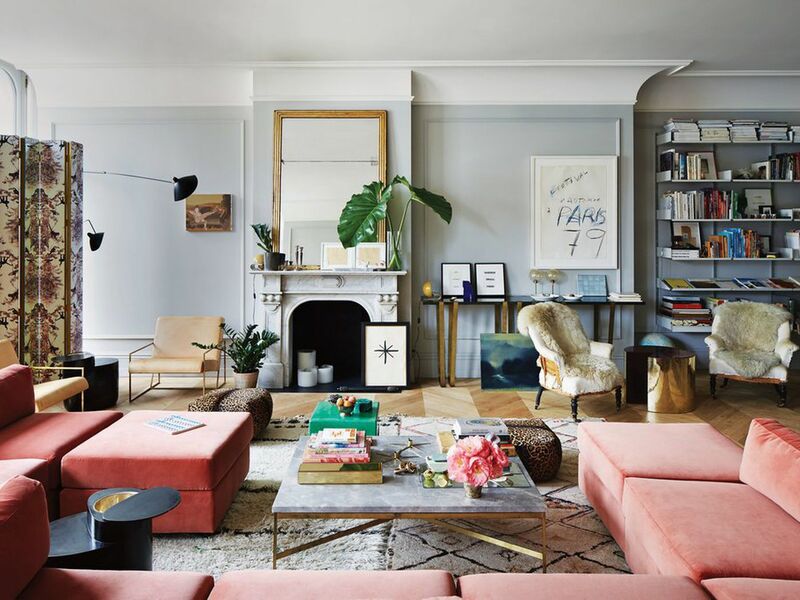 With those rooms, people are willing to take more risks, branch out and explore things that are a little different because they aren’t rooms they have to live in regularly. People tend to be safer when designing their kitchen, living room or bedroom because they have to live in it constantly. Powder rooms are special. When a room is so tiny, you can do more. You can invest in a wallpaper or a light fixture that is quite expensive individually but you hardly need anything to fill a powder room. You can make big gestures that go a long way in a tiny room. Think of your powder room as a jewel box – it’s the perfect opportunity to treat every single surface with care. 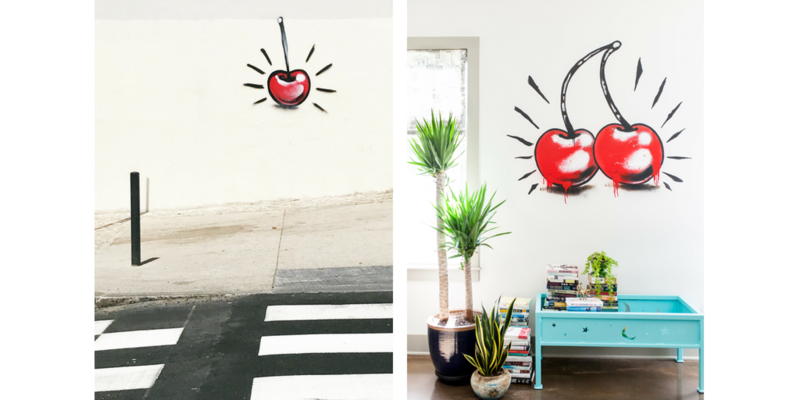 In my house, my favorite area is my dining room because I had a local artist graffiti a wall with huge cherries. It was inspired by graffiti I saw in Lisbon, Portugal last year – the most perfectly spray-painted single cherry on a white wall in front of a bright yellow trash can. It was so graphic and I spent 30 minutes taking perfect pictures of it. Several months later we were selecting art for my home and my brain went straight back to the cherry. Now it’s one of my favorite things. KS: All kinds of them — I am formally trained but I think people take all of this way too seriously. Nothing about interior design is life-or-death. It’s something purely to enhance your life. If something makes you happy, do it. There’s no expert reason or rule that should cause you to not have what you want. KS: My favorite kind of pattern is several patterns thrown together. It doesn’t speak to me if it’s just one… The juxtaposition of two or more unexpected patterns on top of one another makes everything more interesting. It’s a more-is-more outlook. For texture, I’m really into lacquer. I love a good high-gloss shine. Recently I did a custom lacquer on a kitchen island, even though the rest of the kitchen was a more standard matte finish. Having that little bit of shine, especially in the center of the room, makes everything more special and reflects light in an interesting way. KS: Something that people can live in. I’m all about very high design but in my world designing people’s homes, it just matters that it’s good design for them. They get to walk into their home every day and it makes their life better and enhances what they would’ve already been doing — the way they would’ve lived and the food they would’ve cooked. Good design shouldn’t be this thing where you have to be very hands-off and just look at it. It needs to get dirty, get scratched, but in the end, the family lives the best version of life in that house. When you go on an amazing vacation and you stay in the perfect hotel, it makes your vacation that much better because you go home to the perfect surrounding every night. 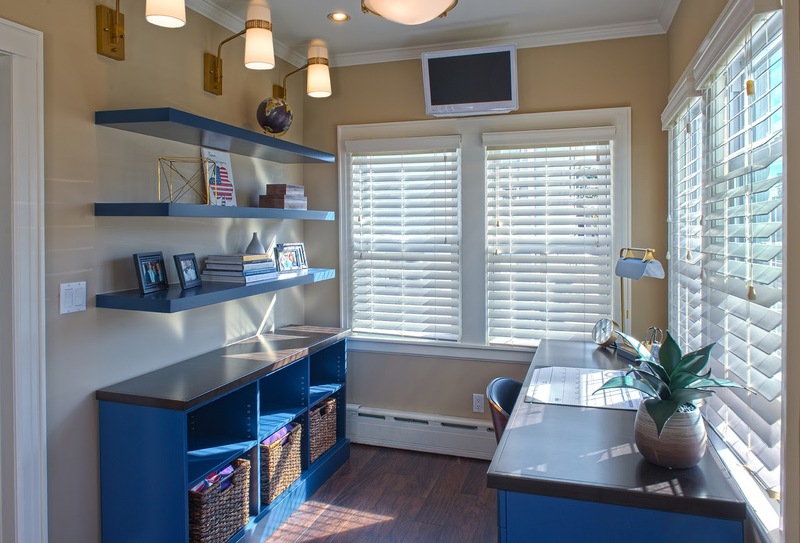 Interior design is higher stakes because it’s not a vacation for one week… it’s the backdrop for your real life! KS: I’m an incredibly casual entertainer. I’ve set up some pretty killer formal dinner parties but in my perfect world if I were throwing a party it would be casual. The things that make it perfect don’t have anything to do with design… Have places for everyone to sit if they want to sit. Music makes or breaks any party, so think through what you’re going to play and how you’re going to play it. Don’t ever run out of alcohol — that should never happen, ever ever. Keep an emergency bottle of something somewhere. I think someone said, “If you can’t find a reason to celebrate with a bottle of champagne, you’re not trying hard enough,” so there should always be a bottle of champagne in your refrigerator. Those are my deal-breakers. KS: This is easy. Jenna Lyons, the former CEO of J. Crew. Right now she’s in a loft in SoHo that is the only house that I wouldn’t change a thing in. She has architectural detail that’s really subtle, and she does a great job of neutral backdrops but then incredible punches of color. Plus everything is piled with books and artwork. KS: People often underestimate what they’re getting into, so be self-aware about what you can handle. Just the budget isn’t a good enough reason to go into an enormous DIY project if you’re not the person who is going to enjoy and execute that. Everyone underestimates how long something is going to take, so don’t be too hard on yourself if it takes twice as long as you thought. KS: People get a word-of-mouth referral and they will instantly call the designer. That’s amazing and my biggest source of projects, but you have to do your homework. Get on the designer’s website and their Instagram and dig in. Go through their photos and pinpoint why you like their work. Then explore other designers and chat with each one. Even if you love someone’s work, that doesn’t mean you’ll be a great fit personality-wise. Find that balance of a person whose style you love, and who you’re comfortable with as a person. KS: When I’m traveling I’ll drink an inordinate amount of coffee because I love the whole experience of ordering and enjoying a coffee in a new place. At home, I’m so easy, I couldn’t care less. Just bring me a coffee, hot or iced depending on the temperature outside, and I’ll probably drink it.